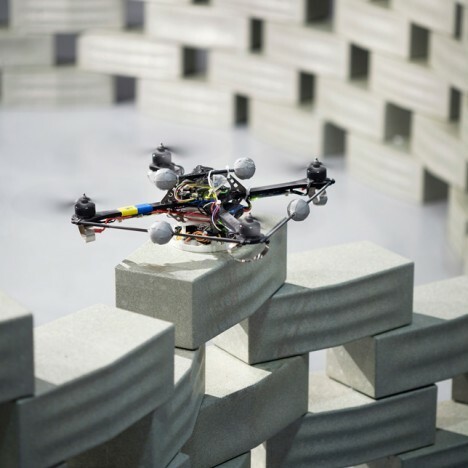 Unmanned aerial vehicles can do more than just take pictures, pick up and drop off objects – they can also work together to create solid structures, built brick by brick or even woven in midair. 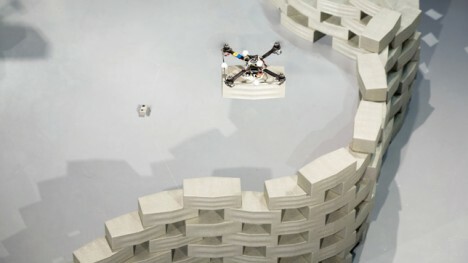 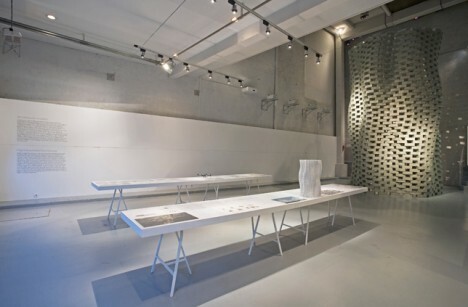 In this first example, titled Flight Assembled Architecture, roboticist Raffaello D’Andrea Swiss architecture firm Gramazio Kohler Architects to create a complex 3D wall from lightweight blocks. 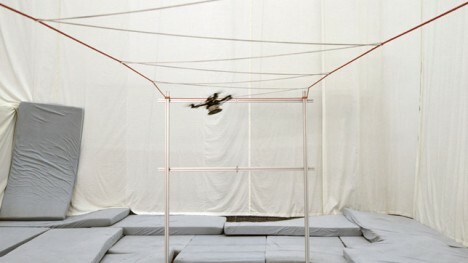 Far from an end product, the idea was simply to show what drones could be programmed to do. 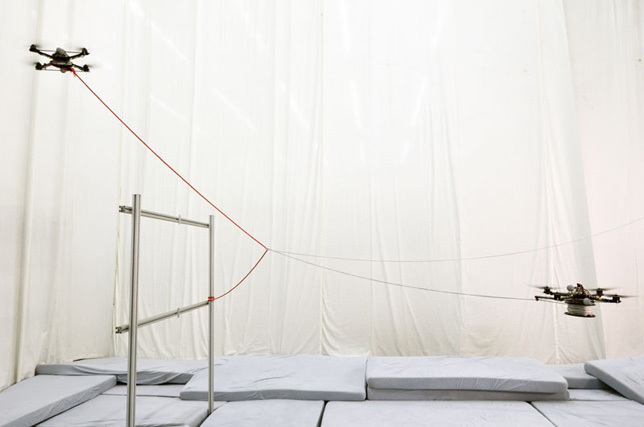 While this remains an impressive feat, the next and more recently-executed demo (below) is even more so. 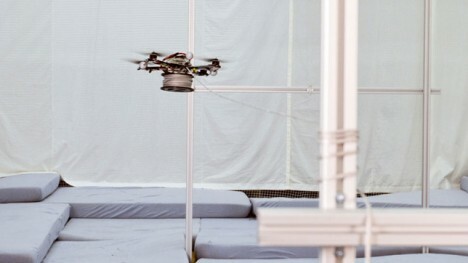 With help from ETH Zurich’s Institute for Dynamic Systems and Control, these autonomous flying vehicles are coordinated by computers to wrap, weave and intertwine support cables to create various tensile structures. 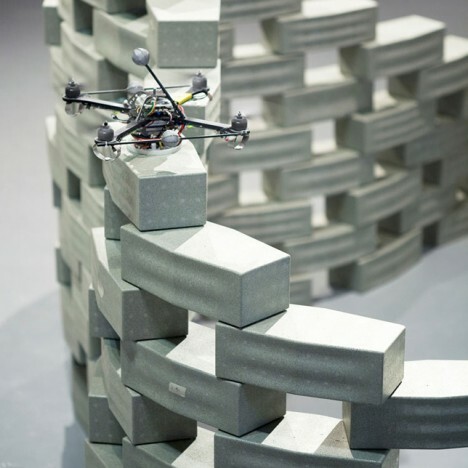 A simple set of vertical supports provides the framework with which the cable-deploying drones interact, first wrapping these columns then beginning to form ever more complex structures in the air. 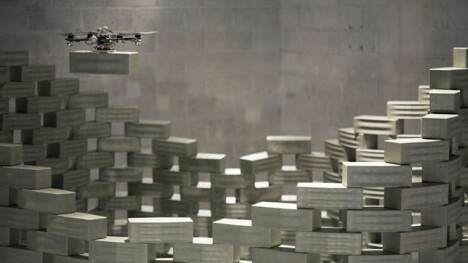 The possible future applications for such techniques range from rapid prototyping and structural integrity tests in physical space, replacing computer models, but drones could also become construction tools, able to safely weave in and out of buildings at higher altitudes to deliver materials or even deploy them in place.